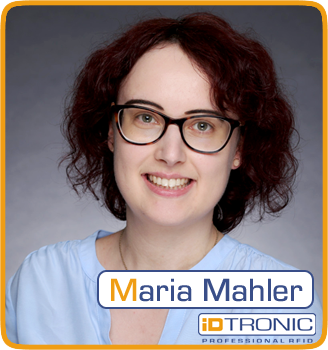 Industry 4.0 and IoT applications require intelligent solutions and easy integration. The compact and small shape design (12.0 × 12.2 × 3.7 cm) is ideally suited for industrial applications in logistics, robotics or assembly line production. 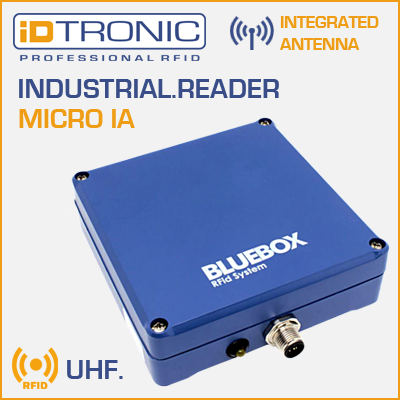 The BLUEBOX MICRO IA UHF may be optimally integrated into this process thanks to its compact design. 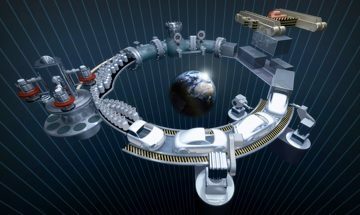 The production of an automobile comprises an integrated process, having different requirements at each production step. From the foundry to the paint shop, high temperatures require the use of heat-resistant equipment. Thanks to its IP65 protection class, the BLUEBOX MICRO IA UHF is ideally suited for this purpose. The reader can withstand temperatures from - 40 °C up to + 85 °C without any problems. The reader can be easily mounted through prefabricated drill holes - even outside the production line. Thanks to the large 3-meter reading range, the parts can be assigned contact-free within the chassis production up to the exterior equipment. The material flow within the production of a motor vehicle requires flexibility and robustness. The BLUEBOX MICRO IA UHF can be used to optimally allocate the various variants. The detection of several screws or threads is guaranteed by bulk detection.